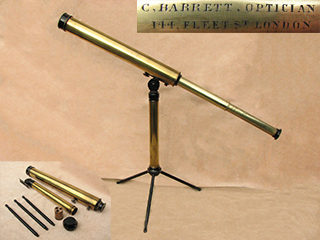 Classic Victorian table top telescope on stand, signed C Barrett, London. 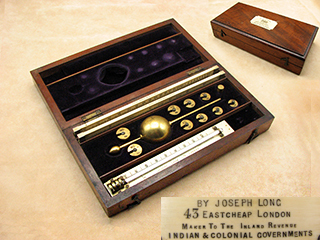 19th century Sikes Hydrometer set with bone proof rules by Joseph Long. 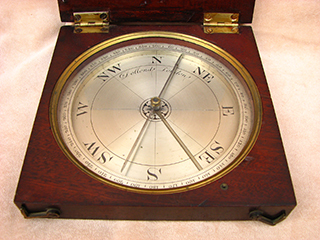 Antique compasses, antique telescopes, sextants, barometers? If you share my fascination for the world of science and technology, then you've come to the right place! to vintage fishing reels and tackle. fishing floats, Hardy fly reels and military items. would appreciate any feedback you care to give. do contact me as I often have a good stock of unlisted items. list something new every week. Click here for links to other sites also worth a visit! 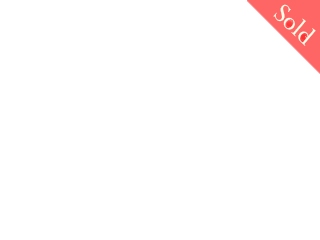 Listed below are just some of the 500 plus antique scientific instruments featured on this website. Antique telescopes and pocket compasses by Dollond. Negretti & Zambra WW1 Tel Sig snipers telescopes. A variety of Singers patent compasses. 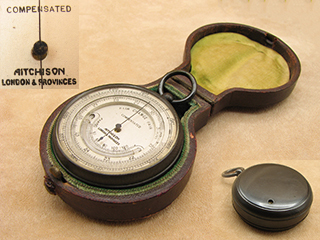 Antique compasses by Francis Barker & Son, and WW1 marching compasses. Antique maritime single draw telescope by J Berry, Aberdeen. Naval Officer of the Watch telescopes by Ross, Hughes, Heath, & Ottway. WW2 Scout Regiment telescopes by H C Ryland & Broadhurst Clarkson. 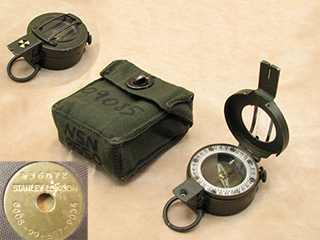 Military pocket watch style compasses by Dennison. 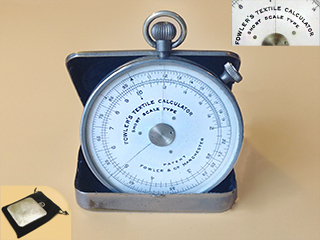 Collectable vintage pinwheel calculators by Muldivo, Brunsviga, Facit, Odhner and Multo. Zambra, and Short & Mason. Vintage and antique pocket sextants by Stanley London. 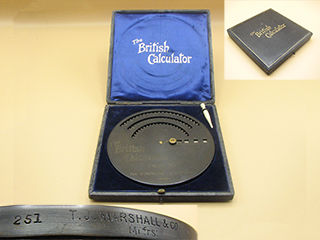 Fowler's universal circular calculators & slide rules. 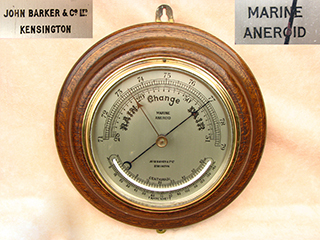 Vintage pocket barometer by Aitchison. Classic Library telescopes by Aitchison. 19th century telescopes by Lennie, Edinburgh. Victorian antique hourglass sand timers. 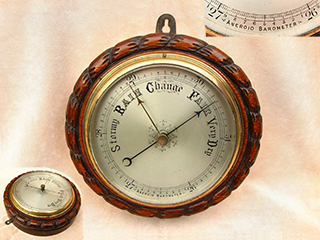 Antique aneroid barometers incorporating curved thermometer. 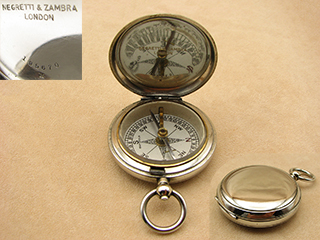 Antique pocket watch compass by Cary.